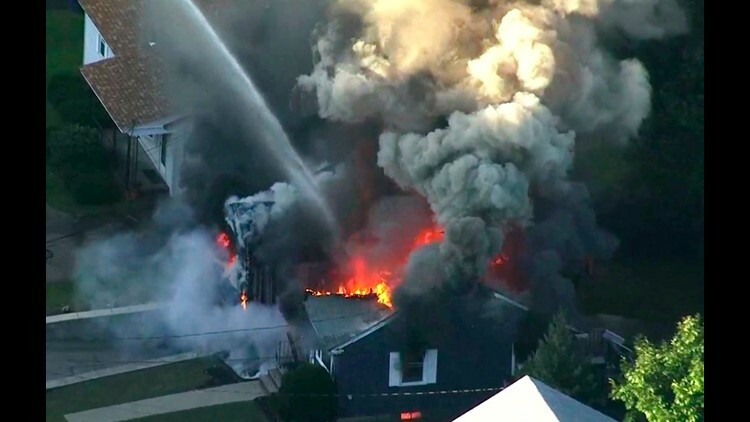 The catastrophic explosions that rocked northeastern Massachusetts last month have drawn new attention to the problems of an aging natural gas infrastructure that's prone to dangerous – and sometimes fatal – gas leaks. USA TODAY reported on the problems of aging natural gas pipelines in 2014 and found that leaking cast-iron mains were a primary cause of natural gas fires and explosions. But despite a call to action that year from then-Transportation Secretary Ray LaHood, replacing those pipes has been slow – and sometimes as perilous as the pipes themselves. A new USA TODAY investigation of natural gas pipeline safety, based on federal data and interviews with industry, experts and regulators, found spotty oversight and a lack of transparency by utilities and regulators responsible for keeping gas customers safe. Despite decades of warnings about the dangers of cast-iron gas mains, many local utilities still haven't replaced all of their old – and increasingly fragile – cast-iron and bare steel gas mains. In 2014, USA TODAY found that more than 85,000 miles of gas mains still used those outdated pipes. By the end of 2017, the number was 71,000. That's progress, but consider this: Congress first passed the Natural Gas Pipeline Safety Act in 1968, after a disaster in Richmond, Indiana, killed 41 people. And in 1990, after another disaster in Allentown, Pennsylvania, the National Transportation Safety Board recommended that utilities replace the old pipes "in a planned, timely manner." Pipeline safety in the United States is both a federal and state responsibility: The Pipeline and Hazardous Materials Safety Administration sets national standards, but they're enforced state by state. "I've never seen a PHMSA investigator in my entire career," says Mark McDonald, a former Boston Gas worker who now is a safety consultant. "So that’s a problem." Beginning in 2010, the federal pipeline agency asked utilities to develop their own plans – known as distribution integrity management plans – to make their systems safer. But those plans aren't filed with federal regulators, and states often allow utilities to keep them secret, so there's little transparency about how utilities are managing the risk. "What industries attempt to accomplish is to create a regulatory black hole where neither federal nor state regulators have clear supervisory responsibility. And that is in large part what is happening here," says Sen. Ed Markey, D-Mass. "We just can't let pipeline companies regulate themselves." Even before the Sept. 13 explosions in northeastern Massachusetts, Columbia Gas warned state regulators that replacing pipes in places like Lawrence would be difficult. The pipelines were in densely populated areas dominated by paved surfaces. They're intertwined with other utilities in crowded rights of way. Local regulations often restrict street closures and hours of work, and near-record low unemployment makes it difficult to find qualified workers, the utility said. Utilities across the country face pressure from state regulators to keep gas rates low, to limit the effect on low-income customers. And grassroots groups oppose big pipeline projects in their neighborhoods. "We didn't take care of this problem for decades and decades and decades," McDonald says. "Now there's a rush to replace this infrastructure – obviously with the intent to improve the safety of the system. But not having the right safeguards and quality workers could cause more explosion hazards such as this." Gas leaks aren't just dangerous. They're also expensive and damaging to the earth. One Environmental Protection Agency estimate in 2014 put the annual cost of the leaked gas itself at $194 million a year. And under a 1936 Supreme Court decision, utilities can pass 100 percent of that cost to consumers – even if the gas never reaches their meters. Methane, the primary component of pure natural gas, is also a powerful greenhouse gas, as much as 84 times more potent than carbon dioxide. The good news, environmental groups say, is that methane breaks up in the atmosphere more quickly, so fixing gas leaks could have an immediate effect toward meeting global emission-reduction goals.